FILE - Oprah Winfrey speaks onstage during the 2018 CFDA Fashion Awards at Brooklyn Museum on June 4, 2018 in New York City. Winfrey told the magazine she wouldn’t be able function in a political environment. In the midst of the #MeToo movement, Winfrey also said she isn’t discouraged and has a different perspective on the state of society. Oprah Winfrey will appear on the cover of British Vogue Magazine’s August issue, according to the magazine’s website. In an interview with Vogue, Winfrey touched on the Royal Wedding, feminism, race and the “loves and losses in her life and that rumoured move into politics,” according to the magazine’s site. 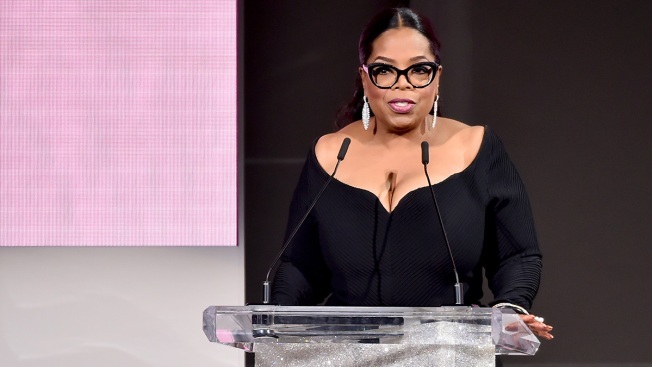 Despite the calls for Winfrey to enter the political sphere after her speech at the Golden Globes, she told the magazine she wouldn’t be able to function in a political environment, instead telling Vogue that it would kill her. “For years, women have endured craziness,” Winfrey said in the interview. “This is what's happening to people. They're allowing themselves to not just become corroded, but to become hysterical. You've got to lean to the happiness." The August issue will be available July 6, according to Vogue.